Product Audio Player allows you to add an audio player for each product on your homepage and product page. Allowed formats : mp3, ogg, wav. Perfect for online sales of audio products like : music, sound bites, sample, music template, audio book, tutorials, audio reports, personal creations. - 100% responsive with PC, Smartphones, tablets. - Play / Pause / Progress bar / Duration. - Allowed formats : mp3, ogg, wav. - Source Selection : URL or upload your own files. - If file is missing or URL is broken, the player is automatically disabled. - Automatic pause if launching a new audio clip. Allow the listening or preview of your audio product for your customers before buy. 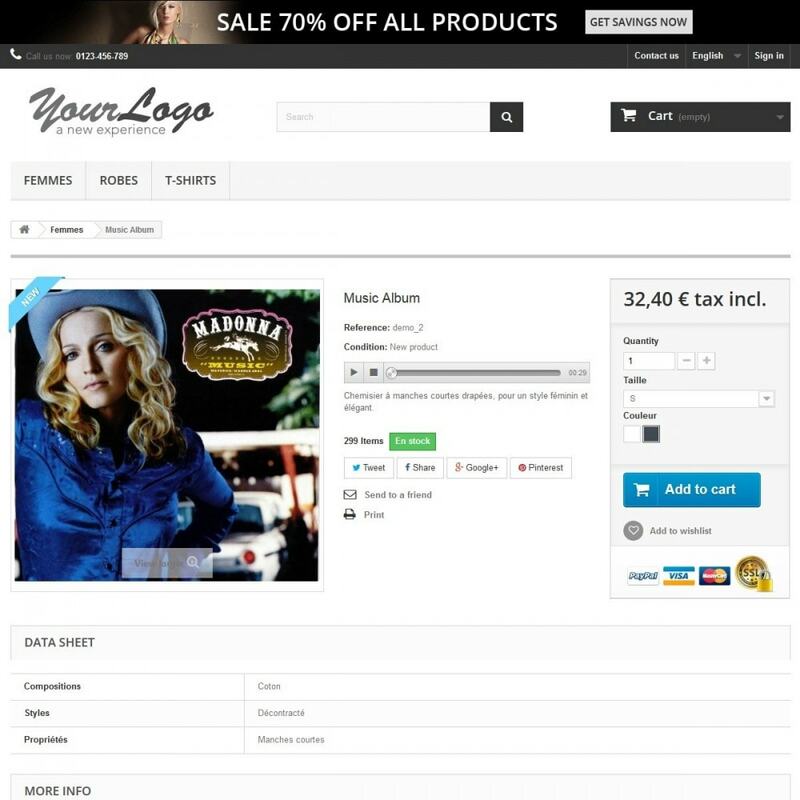 Product Audio Playlist allows you to add an audio player for each product on your Prestashop homepage and product page. Allowed formats : mp3, ogg, wav. Innovation 2016 ! 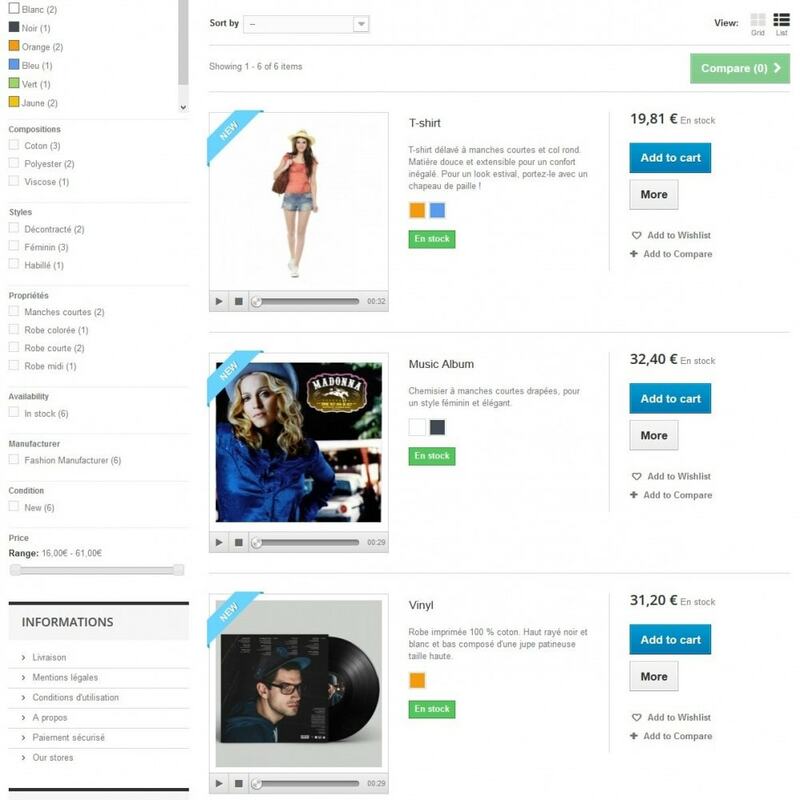 This module add a SuperMenu on your online store.You can easily customize menu in your backoffice with a amazing live editor !You can design a menu for each store in a multistore installation. 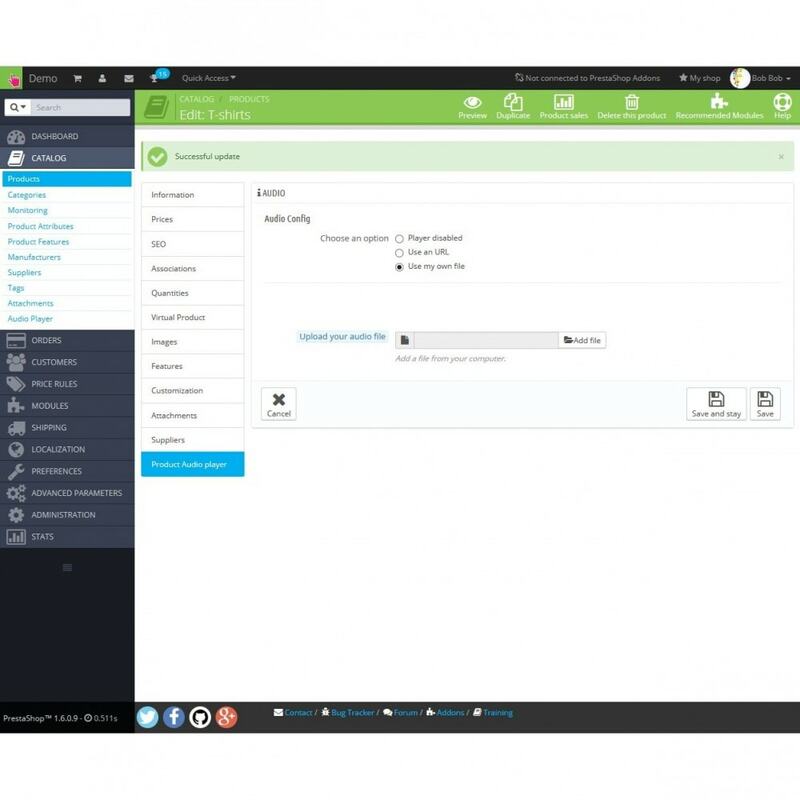 This Module allow you to add a TeamUp Calendar to your Dashboard.